Not the Regular eBay Sales Slump? If you search the eBay forums for reports of a sales slump, it seems you'll always find threads where sellers report poor sales periods - it's par for the course. But every once in a while, there's anecdotal evidence that something much more going on, and the past couple of weeks is one of those times. Some of the reports could be due to vast number changes eBay has made in recent weeks (Seller Hub, Promoted Listings, policies, changes to buyer-seller communications, and changes around active content and HTTPS security, to name a few). And those are just the changes we know about - eBay has been making major changes of late without informing sellers, and of course it never reveals details about its own marketing campaigns, which can influence which products and categories get more traffic. The cause of the latest reports could also be due to some of the technical issues that the eBay site has been experiencing. This isn't to say total eBay sales are down, and there are always sellers who do well during a period where it seems like others are in a slump. But it does seem like many individual sellers are seeing a drop in October. Have you see any changes to traffic or sales on eBay or elsewhere, whether up or down, or have things been steady for you? We have five stores. Three of them are doing well and the other two are down but not much as they are more a seasonal store and do well in the warmer weather. Everything is running as expected for October. We close everything down the sunday before Thanksgiving and do our yearly visit to the warmer part of the country. We hate the holidays as everyone is all bent out of shape. Best to close the stores and go on vacation and let the whining begin. I had a quick flurry a few days ago, just in time to pay my invoice. That seems to be a regular pattern for slow months. October has probably been my worst month in a bad year. Something started happening in the middle of March this year and got far worse in October. It's been my biggest slump in 8 years of selling. Devin has had 2 years to make a deal with Google, he passed on that for his 'Fill your cart with Color' TV ads for a shopping cart that does not even work for sellers when it comes to combined shipping, that is a joke, kids don't even watch TV anymore. I could run the company better than Devin, that is a fact. When your supposed partner doesn’t tell you anything, how can you prepare yourself. 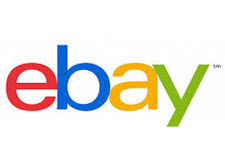 There’s business on eBay - it’s all whether or not they want you to have any. Me? I’ve got the same few each day, day in day out regardless of what I sell (brands). Of course there’s games going on! According to my seller hub stats, I'm down 20% from this time last year, and definitely worse this month than last month. Ebay : I haven't bought anything there in MONTHS : no good UNbroken items to be found at REASONABLE prices. Etsy : Sales are WAY OFF : Warm weather tends to pull people outdoors. One of my favorite things to buy on Etsy is FOOD. Etsy has some great Breads and Cookies. Ebay can not compete there. So, it's always good to have a "Job # 2" up your sleeve for....just such an occasion. Never ceases to surprise me why great sellers that are being held back by ebay or etsy game playing dont pick and leave. Sell games, puzzles and toys mainly. I should be seeing rising sales at this time, not flat or slowly descending like a leaky balloon that I am seeing. It's all about traffic, Devin knew that Google cut off eBay years ago under Donahoe, they really did not like the guy, so eBay was punished, yet he still sat back and allowed Walmart to make a monster multi-year, multi-billion dollar partnership with Google while he ran silly ads on TV about filling your cart up with color. Prior to that Walmart deal with Google, Amazon was the number one buyer of Google ads for the last decade, so eBay lost out twice then we wonder why the marketplace is struggling. This is simple logic that anyone can understand, even people who don't sell on eBay. The sellers don't leave, they simply open up stores on Bonanza, Pricefalls.com, Shopify and BigCommerce, now they are opening up on Walmart. Sales are atrocious in both of our stores. Very unusual. Had ebafia exercised even a modicum of common sense, their absolutely stupid ad campaign would have been focused on filling carts with the unique and the unusual, and it might have actually had a positive impact on sales. These guys are simply inherently incapable of making good decisions. One would think, that once in a while, they would change something that would improve sales. OR...Devin and Brian may be trying to teach those of us who are refusing Promoted Listings and 60 day free returns a lesson by sinking us all so low in search that we won't be found. If so, a losing strategy for all concerned. When will they learn that the continual flogging of their best performing sellers isn't the pathway to greater profitability? We have been leaving but not completely. In other words, we take only the good from eBay and any other marketplace and not the bad. For instance, when Meg took over I started placing a lot of my money into real estate and practically never looked back! "Has anyone else been slow these last few weeks?" I could have easily weighed in if you had asked: "has anyone else been slow in the last few years?" I originally picked up eBay as a side venue between live sales events. Sort of stuck with them after Scamazon tried to steal from me. eCrater turns sales occasionally, Bonanza is a ghost town, Shopify was an expensive joke. Pricefalls isn't even trying with their fee structure, nor are many others. eBay is the least bad of alot of bad options. I've been working on my own site but, honestly, after reviewing Indian/H1B code for two weeks of every month at my day job, I don't have the energy or interest to do much with a computer at home. Not me. I'm having a great September-October. There are a few glitches such as uploading pictures. And listings now showing up immediately. I suspect that 1/2 the world sellers are trying to take advantage of Ebay's endless "free" listing promos. I have about 240 listings online due to their promos, but last month only sold 30 items, which was pretty good.